Discover the best marinas in Menorca in a fascinating trip to one of the most tranquil Balearic Islands. Sun-bleached beaches, unspoiled nature and quietness characterize the landscape of Menorca. 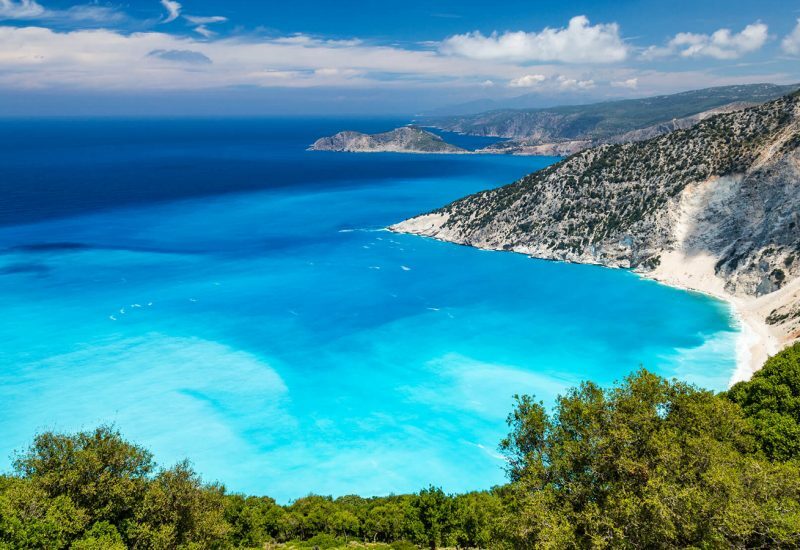 As you sail to this dreamy destination, you need to get acquainted with some of its ports. Menorca has a diversified berth mooring array, here are 5 top choices that can satisfy every exigency. Port Mahon is located in the historical town of Mahon, on the eastern shore of the island, being one of the best ports in Menorca. This harbor has a great position being perfectly sheltered from rough weather conditions as it lies in an inlet. 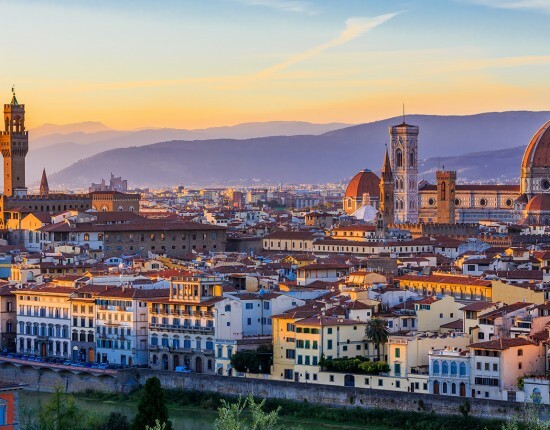 Furthermore, it is only a few minutes away from the beautiful old center of the town. 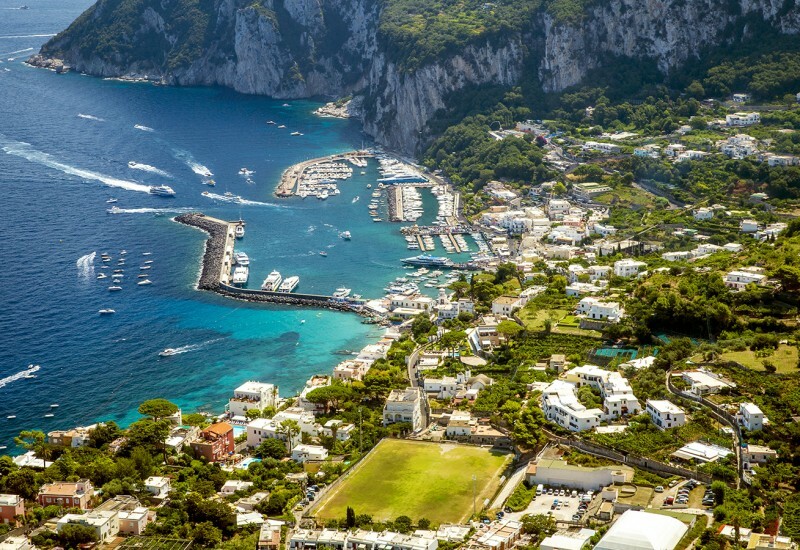 The large harbor of Marina Port Mahon is one of the deepest in the Mediterranean with a 2-mile deep fjord. 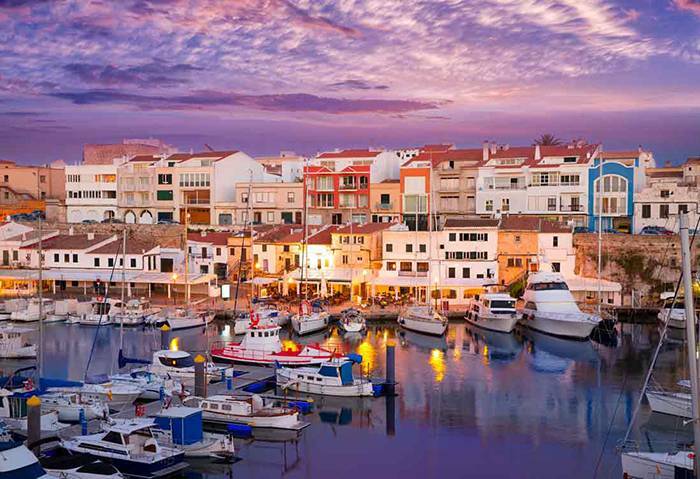 We recommend two marinas in Port Mahon, Menorca. 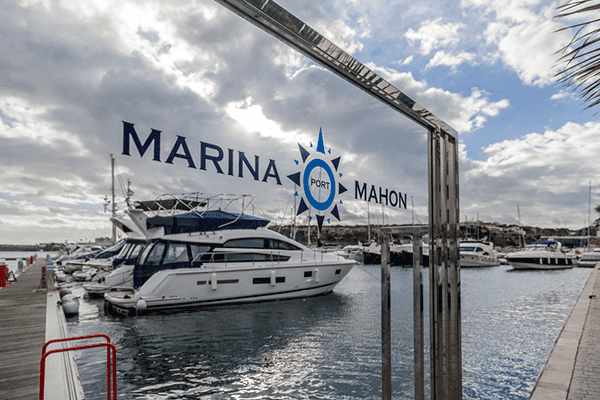 The first one is Marina Mahon, with 165 berths of a maximum length of 50 m.
Marina de Mahon has modern facilities such as weather forecast, electricity, water, internet, car rental, diving services, residual water collection, waste & bilge collection, dressing room, seamanship, security. Discover a laid-back ambience and maximum professionalism in Marina Mahon. Menorca also boasts Club Marítimo Mahon, with 160 berths of a maximum length of 45 m and 48 moorings in concession. 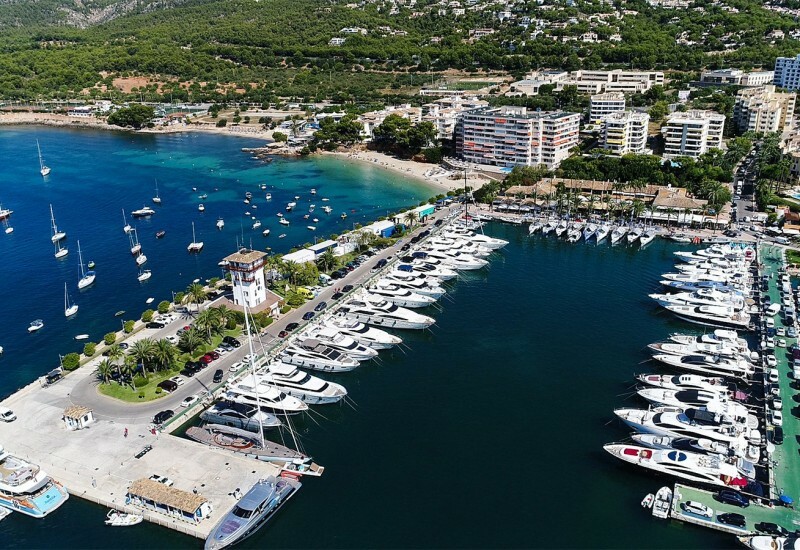 This marina is famous for its nautical club which organizes various yachting events and its Academy of Marine Teachings. A premier sailing school is also managed by this club. 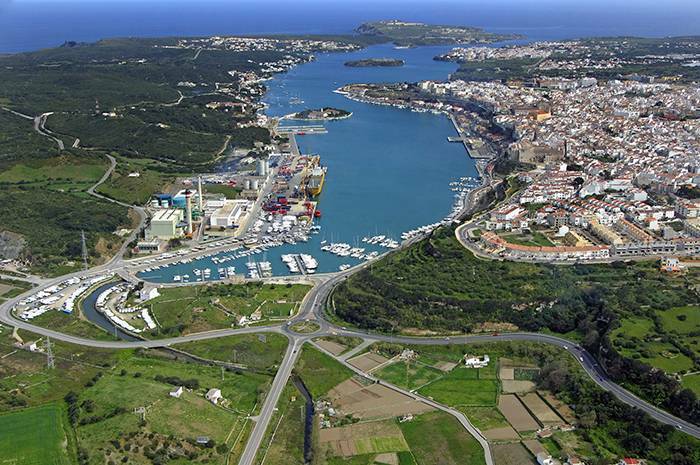 Marina Deportiva De Menorca is situated in the splendid natural harbor of Mahon, in Colarsega. This port can provide 230 moorings which are located on 7 different pontons. The maximum length of the vessels that can moor at this Menorca marina may vary between 5 and 6 meters. Besides crystal-clear water and a beautiful and relaxing surrounding, you will find top-notch services here. Marina Menorca’s offer includes water, electricity, toilets & showers, waste collection, 24h service, free parking, mooring assistance, internet, laundry service, transport services, office. Marina Deportiva De Menorca is surrounded by terrific beaches where you can indulge in water sports or simply enjoy the sunny weather. Some of them are Cala Pregonda, Cala Mitjana, or the beach at Cala Macarelleta, all surrounded by amazing deep blue waters. Port de Ciutadella is a historic harbor located on the western shore of the island. 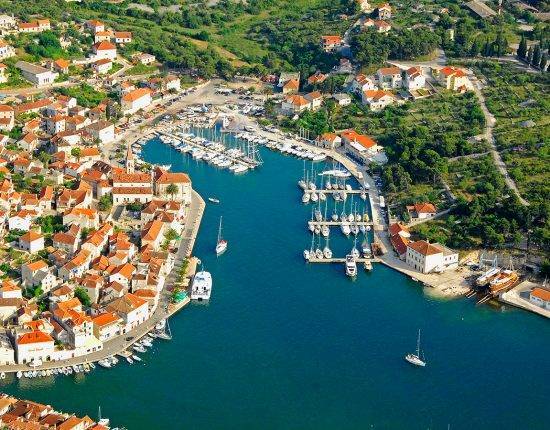 It has been a port since medieval times and even the island’s capital up until the 18th century. 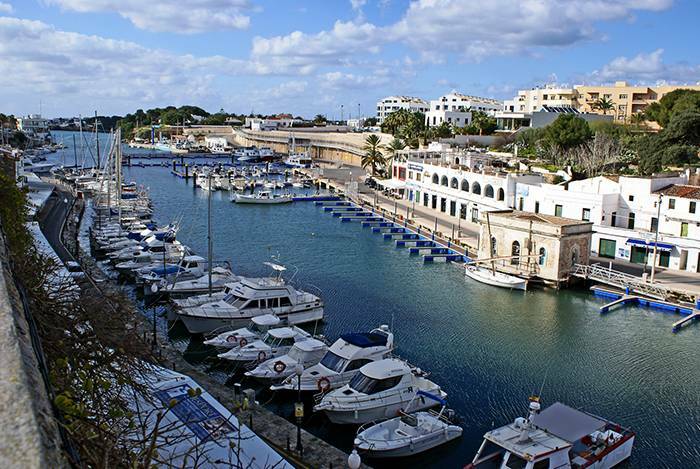 There are two marina reservation options in Port de Ciutadella Menorca. The first one has homonymous name and it provides 150 berths and 20 visitor berths on finger pontoons. The other one is Club Náutico de Ciutadella with 180 berths for a maximum length of 18 m and a maximum draft of 6 m. The ports are located in the same area. Club Náutico de Ciutadella also has a long history going back to the year 1923. This harbor is a reference point for water sports in the Balearic Islands. They organize various courses and events through their sailing school which has a formidable reputation. Scuba diving, recreational fishing and different competitions take place here all year round. Club Náutico de Ciutadella is equipped with modern facilities providing water, showers, internet, electricity, dressing room, on-site restaurant and much more. Puerto Addaya, also known as Port d’Addaia is located in a superb natural harbor in Addaia, on the northern shore of the island. Puerto Addaya Menorca naturally fits in the surrounding landscape, providing a safe shelter for vessels. Nonetheless, it also enables sailors to easily depart and explore the northern coast of Menorca. Puerto de Addaia Menorca also provides the opportunity to visit two major natural assets in the area: North Minorca Marine Reserve and the natural park of S’Albufera des Grau. 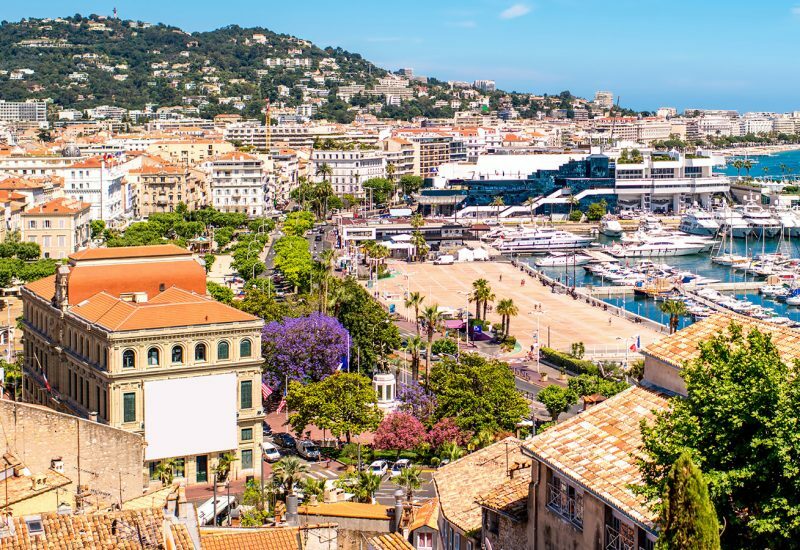 The port has been renovated and furnished with the latest facilities. 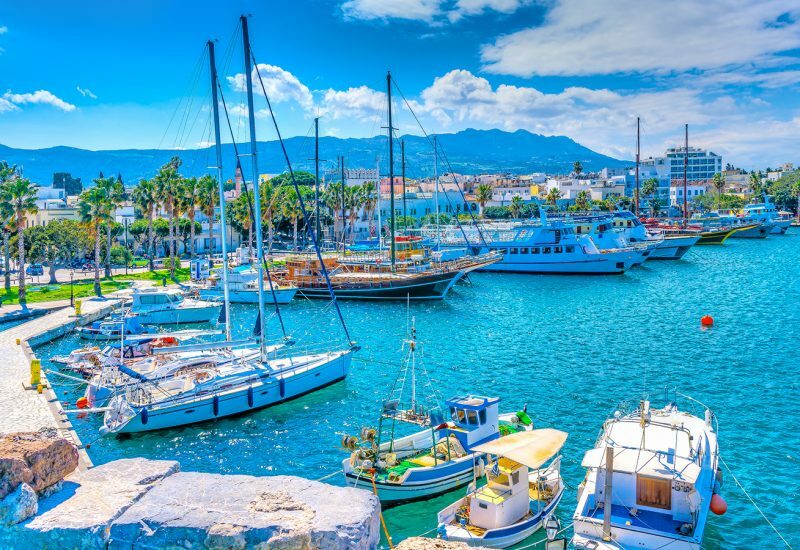 This harbor has 150 berths for a maximum length of 25 m and a draft of 3 m. Their facilities include ramp, water, electricity, repairs and maintenance, boat hibernation, nautical shop, bar and restaurant, showers, laundry service, nearby supermarket. 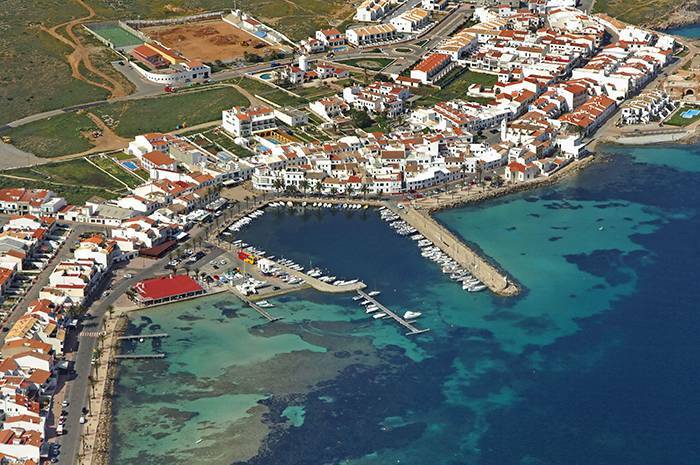 Port de Fornells is located in the beautiful bay of Fornells, in the municipality of Mercada. This harbor is best-known for its nautical club which has a long tradition that goes back to 1966, the year of its foundation. The club organizes sailing courses, windsurfing courses and other recreational activities. Port de Fornells Menorca also offers the perfect setting for practicing other outdoor activities such as diving, cycling, riding, or hiking. This Menorca berth booking option has 115 mooring of maximum 12 meters and a maximum draft of 3 m. Some of their facilities include bar, restaurant, master harbor, ramp, dressing rooms, service station, fuel station, market, laundry service, bilge collection etc. 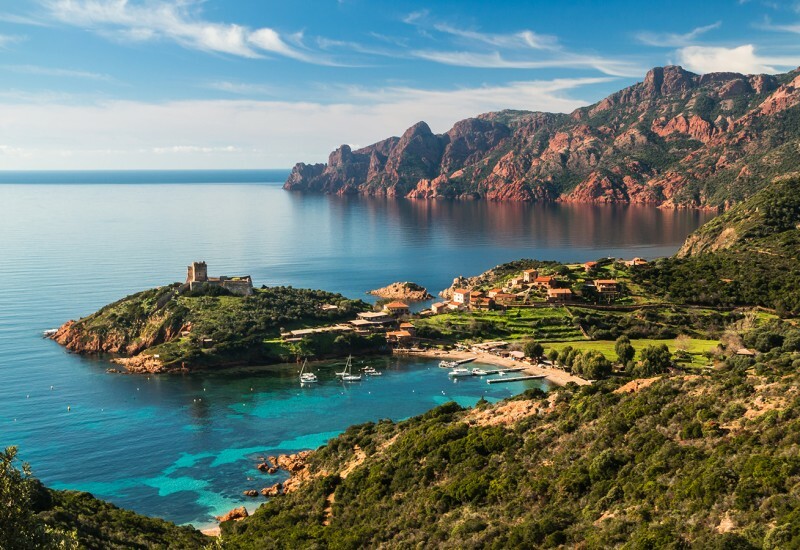 Port de Fornells is situated in a historically rich area where you can visit the archeological area of Sanitja, Cave Road Espeologica na Polida or the ancient defense tower. 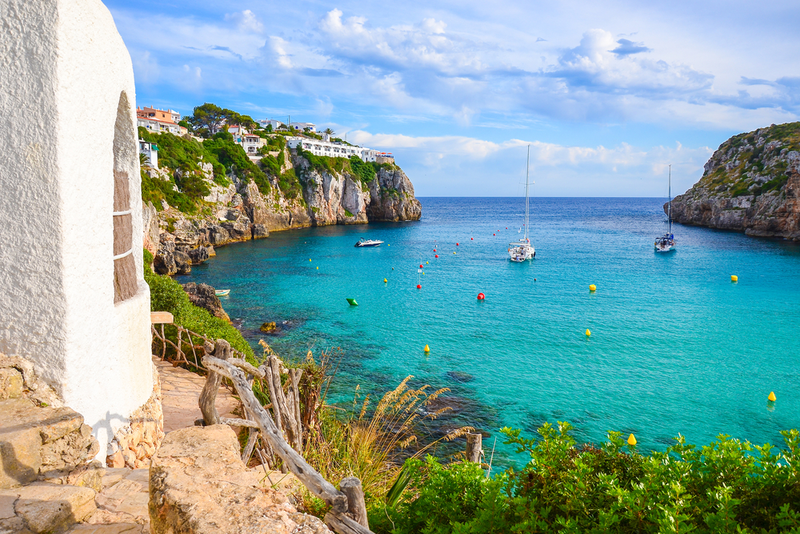 Menorca is the perfect relaxing refuge for tourists sailing in the Mediterranean. This is the place to rest and admire nature after you’ve been partying on the other sister islands. Menorca has a beautiful landscape, a fascinating history, and top touristic facilities. Before you sail here, remember that we can help you book a marina reservation in Menorca fast and easy. Just contact us for an online berth booking and we will immediately provide you with all the details you require.